This McLaren P1 comes to us courtesy of Evan Wawrzyniak and McLaren Special Operations, and it might be the first car we’ve ever featured with a doctorate. Say hello to Professor 2 Blue (and sorry your rap name got taken). 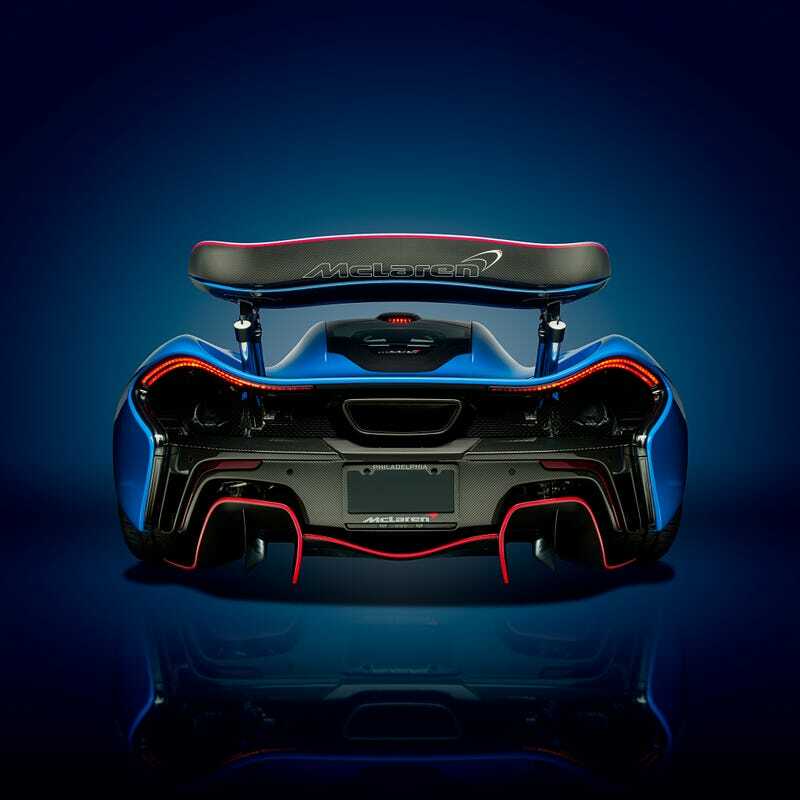 So this 2015 McLaren P1 is done in a special one-off McLaren Special Operations (MSO) color called Professor 2 Blue. The car is highlighted in McLaren Red inside and out. The Active Dynamic buttons have been accented in Professor 2 Blue. The McLaren logo on the underside of the rear spoiler is an MSO option. Wheels were done by MSO to match Diamond Cut wheel design available on other McLaren offerings. This vehicle is also one of two in the world to showcase a VERY special MSO Designed Seat. The vehicle has also been autographed by McLaren Supremo Ron Dennis and Lead Designer Frank Stephenson. Little fun fact about the vehicle, according to McLaren Philadelphia it’s the only McLaren in the world to have a passenger side vanity mirror, which include the words “YOU LOOK BEAUTIFUL” etched into the glass using the McLaren typeface Serene Light MTC Regular. (attached photo is not a selfie of me!!!!). Honestly, Evan? This car is so cool, you can take all the selfies you like.